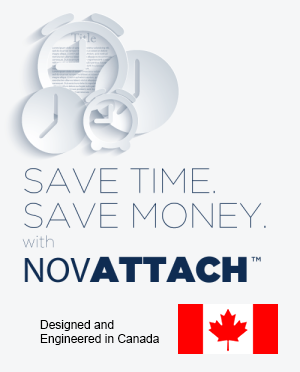 NOVATTACH mounting systems | What is NOVATTACH®? To complement the truss mount system, we have our ceiling mount plate. It uses the same patent pending alloy head unit but, instead of a hook, a powder coated steel plate is employed, which can be safely secured to any flat, solid overhead surface. 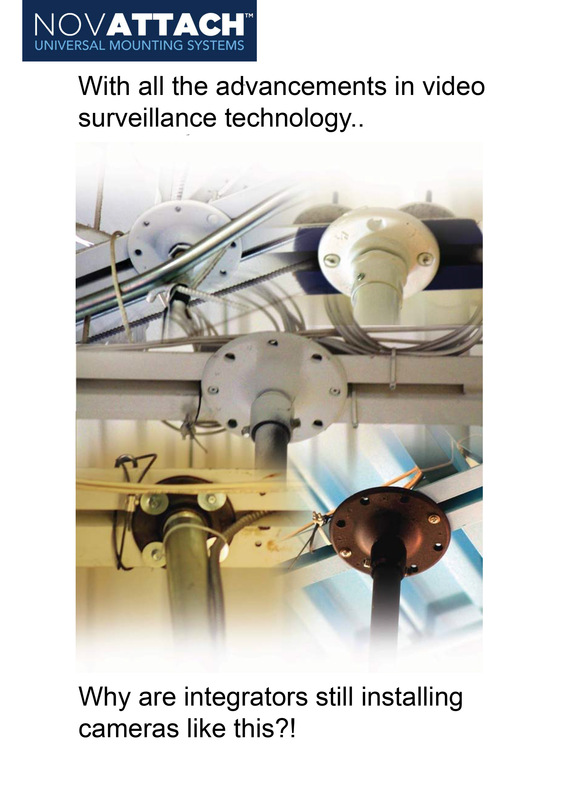 Four mounting holes secure the device – such as wireless communication devices, public view monitors, speakers, or projectors – safely, while the same NOVATTACH® variable length conduit system allows camera positioning to virtually any length from the ceiling. 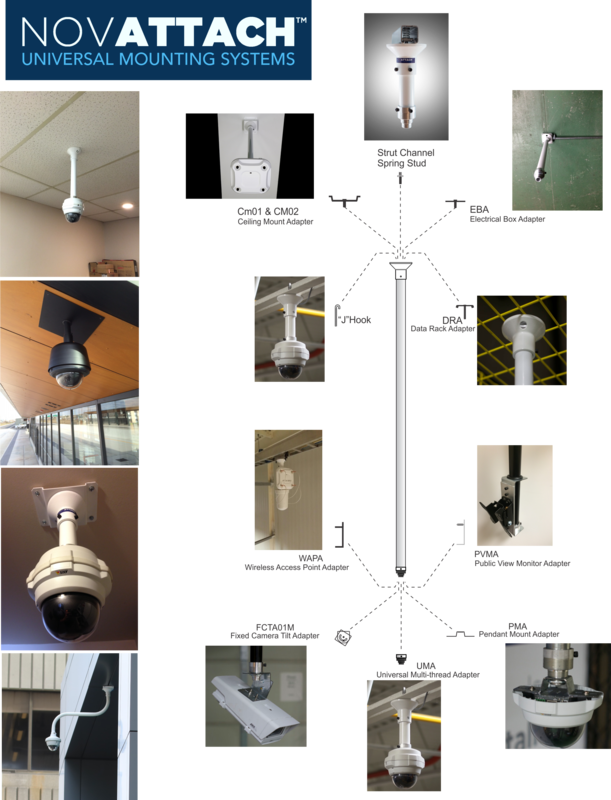 Box or dome cameras – NOVATTACH® comes with an UMA (Universal Mounting Adaptor) already fitted to the base of the unit. The UMA fits any female threaded pendant kit. We also have adaptors for any male threaded pendant kit. If it’s a box style camera, you can order our tilt/swivel adapter that allows 360 degree rotation and multiple angle settings. Attaching of any of our camera adapters requires very little tools and is completed in only a few minutes.